Many designers and clients don’t want to be bothered with the “hassle” of answering and asking questions. Many people believe that building a client-designer relationship is not important and they just want a fast, amazing and cheap design. Or sometimes it is more about the social aspect of the whole deal. But let me tell you, don’t be lazy. Don’t be cheap and don’t be anti-social. If you are a serious designer and you are serious about providing quality and results for your customers then don’t be the latter! I tell you from my personal experience of being too shy to build a relationship when I was starting out; that didn’t take me very far. I’m going to take you on a small journey to better show you why having a project questionnaire is very important. I was contacted by a previous client to redesign her current food labels. She wanted them to stand out and look more professional and I responded with “GREAT! I’ll get started!” But after a few designs and many, many changes I realized we weren’t on the same page. “Stand out” and “professional” meant different things to both of us and not actually discussing her ideas and the whole vision for the project BEFORE any research and design was started only made this “easy” project extremely frustrating and very time-consuming. This was my first real customer and I am so thankful that we were very patient with each other. Furthermore, it was a great learning experience for me. You can see how the design evolves from what I assumed the customer wanted to what the customer was happy with AFTER finally discussing her vision. So, what are the initial questions you should ask and why? Who is the primary contact? Get their name, phone number and email. It’s important to have ONE person who is ultimately in charge of the project decisions. What company is this for? Get the name and website if available. Also, ask about their products, services or how they make a profit so you are well acquainted with their business. Now learn more about their project and their goals. Ask if it’s a new design or redesign? What are their goals for the project? Who else will be working on the project with you? What is their preferred deadline and why? Ask about their target audience and ideal customer? And what are they worried about with this project? Take in their responses and understand your prospect and their project. Decide whether or not you’ll be able to provide what they need. And finally, align visions and kickass! Reference my initial questionnaire I have posted online if you’d like and let me know if you have any questions. I’d be happy to help you out. 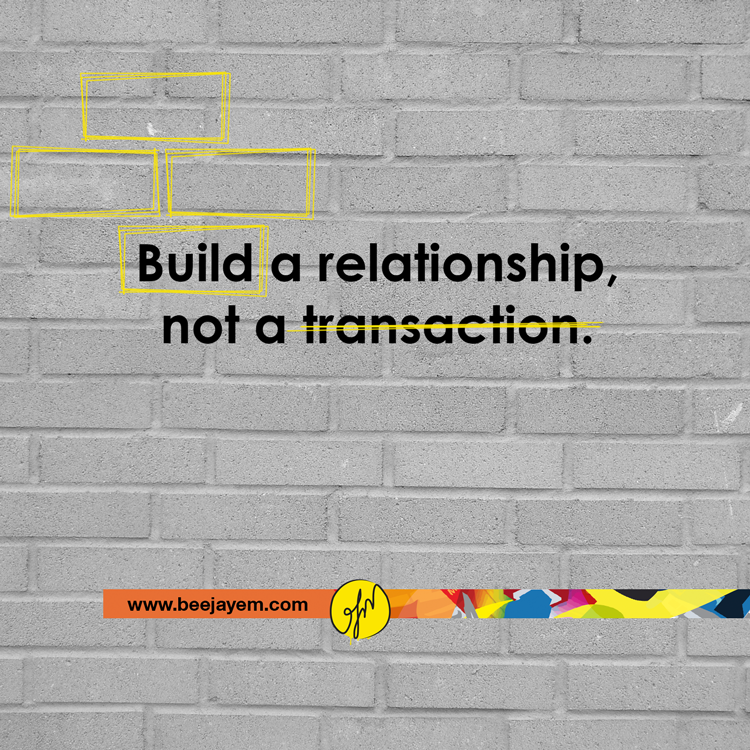 Build a relationship, not a transaction.